We offer an unbeatable selection of brand name windows, which are manufactured by the nation's leading suppliers! While most Cleveland window replacement companies only offer one or two windows, a few glass options and one color, white, we take great pride in offering an unsurpassed selection of windows, nine different models of vinyl windows to choose from, with ten glass options and over twenty different colors; we understand that everyone has a different style, taste and window replacement needs. Our replacement window selection has been designed with every customer's budget in mind! While most new vinyl replacement windows often look very similar, often times most are designed and constructed for low cost, rather than for value. Wood windows can warp, and require regular painting, staining, and general maintenance. Quality, vinyl windows will not cost you money, over time they will save you money, and they will never require any kind of scraping, staining, puttying, or painting. 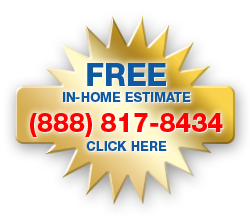 You can count on years of trouble-free, hassle-free, virtually maintenance-free operation. To learn more about the replacement windows offered by Cleveland's premier window installers, click on any of the window options on the left or to schedule a free in-home estimate, click here!